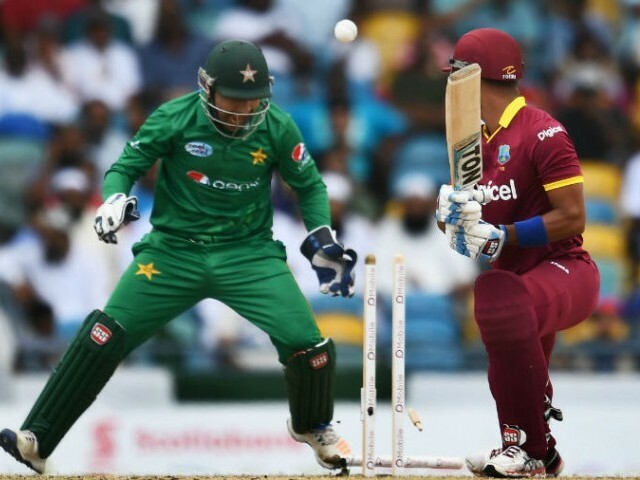 Debutant Shadab Khan and veteran Shoaib Malik helped Pakistan take 1-0 lead in the four-match series after beating West Indies by six wickets in the first T20I at Kensington Oval, Bridgetown, Barbados on Sunday. After opting to field first, Pakistan Super League (PSL) second edition’s sensation 18-year-old Shadab produced the most economical bowling spell by a bowler on his debut in the shortest format of the game to restrict hosts to just 111 for the loss of eight wickets in their allotted 20 overs. Islamabad United leg-spinner gave away just seven runs and claimed three wickets in his four overs, as Carlo Brathwaite’s men never managed to keep run-rate in excess of six runs per over. Brathwaite finished the innings with the top score of 34 off 27 balls, which included two fours and two massive sixes. Chasing just 112 to win, Men in Green were in spot of bother after losing three wickets for just 49 runs in the ninth over. However, experienced Malik joined young Babar Azam to make sure Green Caps will go over the line with 17 balls to spare. Malik finished the innings with the top score of 38 not off just 29 balls, whereas Babar scored 29 off 30 balls. For West Indies, all-rounder Jason Holder claimed two, whereas leg-spinner Samuel Badree and captain Brathwaite picked a wicket each. For his outstanding bowling performance on debut, Shadab was awarded man of the match. FOUR! And that’s it. Pakistan win the first T20I by six wickets. So that’s it everyone. Do join us on Thursday for the second T20I. 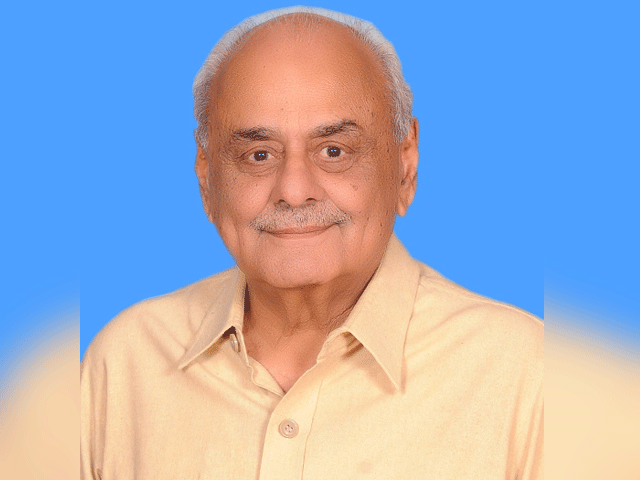 Till then, it’s goodbye from Azeem Siddiqui. Eleven off the over. Good one for Pakistan. Just five off the over. Nine runs and a wicket off the over. Jason Holder to start his new over. Ten off the over. Good one for Pakistan. Kieron Pollard to start his first over. Just six off the over. Kesrick Williams to start his first over. Six runs off the over. Sunil Narine to start his new over. Just three runs and a wicket off the over. Just three off the over. Just four off the over. Captain Carlos Brathwaite to start his first over. Eleven runs and a wicket off the over. Eight runs and a wicket off the over. Just three of the over. Sunil Narine to start his first over. Jason Holder to start his first over. Seven off the over. Good one for Pakistan. So it’s Ahmad Shahzad and Kamran Akmal to open for Pakistan, whereas leg-spinner Samuel Badree will begin for West Indies. So that’s it every one. We will take a short break and join you for the second-half. OUT! Sohail Tanvir gets the wickets on the final ball of the innings. Sohail Tanvir to bowl the final over. Fourteen off the over. Rare good over for West Indies. Just seven off the over. Hasan Ali to start his new over. Sohail Tanvir to start his new over. Just two off the over. Brilliant stuff from the youngster. Shadab to bowl his final over. Wahab Riaz to start his new over. Just two off the over. Just five and a wicket off the over. Hasan Ali to start his second over. Just two runs and a wicket off the over. Wahab Riaz to start his first over. Two runs and a wicket. What a start for the youngster. Young Shadab Khan to start his first over. Just three runs and a wicket off the over. Great stuff from the left-armer. Imad Wasim to start his third over. Eight runs off the over. Hasan Ali to start his first over. Sohail Tanvir to start his first over. Six runs and a wicket. Good one for Pakistan. Nine off the over. Good one for West Indies. Mohammad Hafeez to start his first over. So it’s Evin Lewis and Chadwick Walton to open for West Indies, whereas Imad Wasim to start for Pakistan. Toss: The news from the center is that Pakistan captain Sarfraz Ahmed won the toss and decided to bowl first.